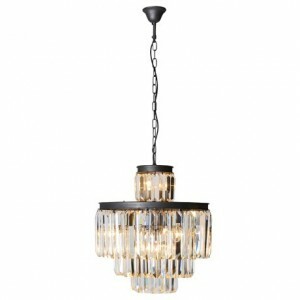 A slim two tier chandelier with clear glass crystal beading and droplets. 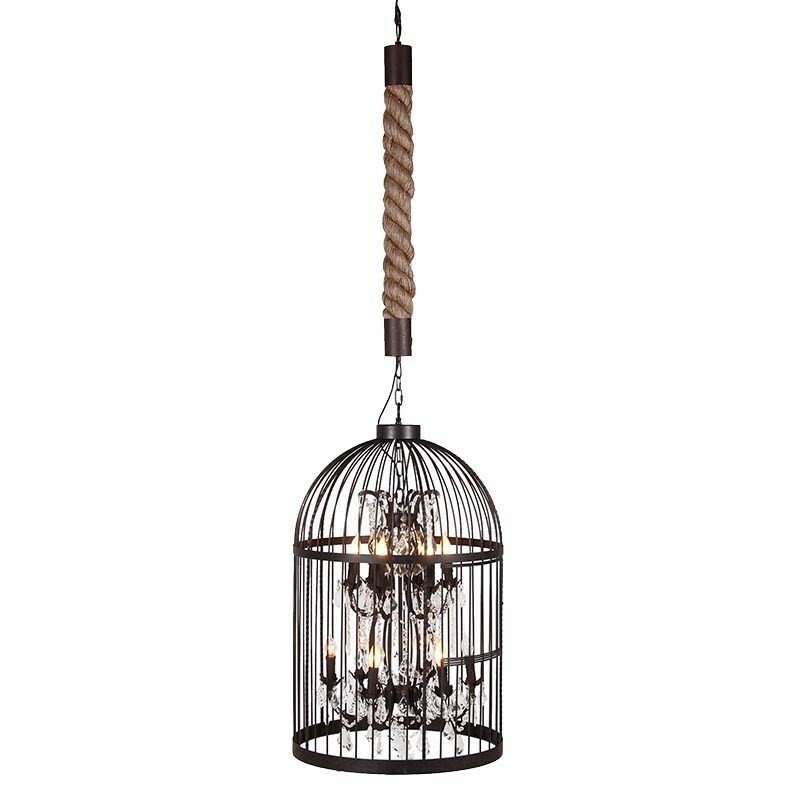 This bold satin black metal framed birdcage is hung from a substantial thick dark black brown metal capped weathered rope chain. 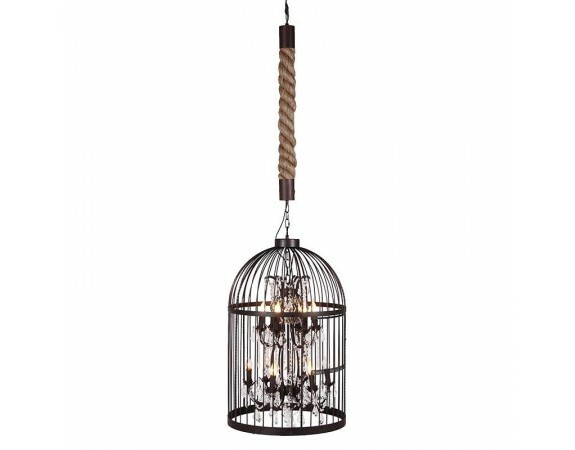 This chandelier looks magnificent and can perfectly go with a modern contemporary.